Variety of Instruments are being used in education, industry and research in the field of analog, digital, instrumentation, control system, biomedical and RF domain, requirement of these instruments varies and depends on their application areas. Some application like electronic, electrical, automation, etc. require standard waveforms, arbitrary waveforms, variable digital pattern and protocol generation. Analog signal combination and multiple digital signals are also required for some applications like power electronics, embedded, DSP and VLSI. To test run time analog and digital communication systems, modulated signals are required in some applications. Similarly if we talk about analog and digital signal analysis then time domain analysis, frequency domain analysis, phase analysis, jitter analysis, logic analysis and protocol analysis are required in various applications. 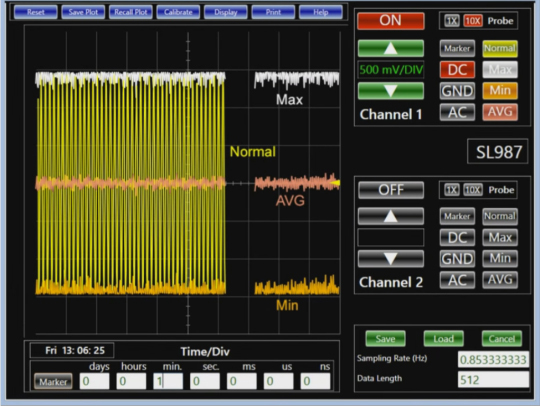 Frequency measurement of clock pulse and data recording with time are also required in some applications to record data between two acquisitions with minimum, average and maximum level provision. Scientech DesignLab3 is an ideal and compact USB powered high speed multi utility solution used in various applications. Along with analog, digital, protocols generation and analysis this USB based platform has capabilities to store, edit, personalize color of signal and screen, edit signal names, markers to analyze signal, print and many more features in its interactive and user friendly software. From a physical point of view signals are oscillations or waves. They are imprinted with certain information by changing according to a certain pattern. So, communication signals like analog or digital information, carrier, un-modulated or modulated signals etc. are very important signals to analyze in time and frequency domain. With increasing data rates, jitter analysis of reference clock signals becomes more and more important. In the high range, even small jitter has significant influence on system performance. For example, the stability of reference clocks for components of high-speed serial links has a strong influence on the bit error ratio. A detailed characterization of the jitter of the reference clock is necessary to improve the reliability with increasing data rates. Packet analyzer, logic analyzer and signal generator are available in this single test system. Eliminate wasted time trying to trigger multiple instruments together and correlating an important event. It supports various protocols like I2C, SPI, Async, CAN, 1-Wire, USB, etc. Any periodically oscillating sinusoidal wave (or simple MR signal) has three fundamental properties: amplitude, frequency, and phase. These properties are explicitly apparent in the mathematical formulation for a sine wave. where S(t) is the signal as a function of time, A is the amplitude, ωο is the angular frequency, and Φ is the instantaneous phase. By adjusting these factors, the appearance of the sine wave can be varied. Instantaneous phase (Φ) represents an angular shift between two sine waves and is measured in radians (or degrees). A sine wave and a cosine wave are 90° (Π/2 radians) out of phase with each other. 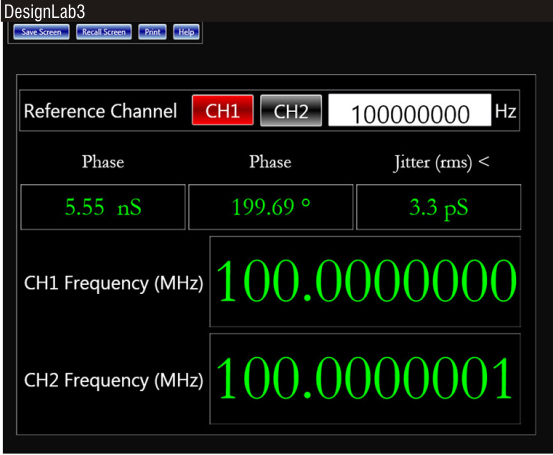 By using DesignLab3 phase and frequency analysis mode we can directly see the phase and frequency of a given signal. A sweep frequency generator is a type of signal generator that is used to generate a sinusoidal output. Sweep-frequency generators are primarily used for measuring the responses of amplifiers, filters, and electrical components over various frequency bands. It is really a hectic task to know the performance of measurement of bandwidth over a wide frequency range with a manually tuned oscillator. 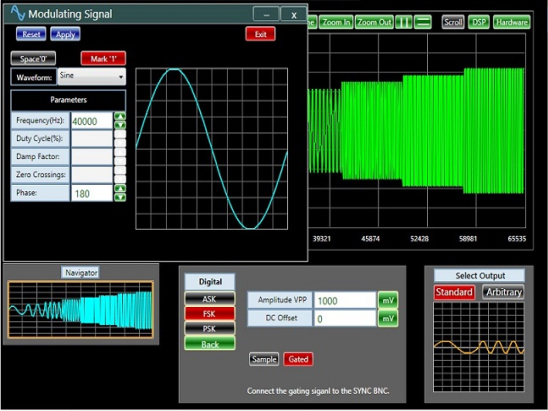 By using a sweep-frequency generator, a sinusoidal signal that is automatically swept between two chosen frequencies can be applied to the circuit under test and its response against frequency can be displayed on an oscilloscope or spectrum analyzer. Thus the measurement time and effort is considerably reduced. Arbitrary waveform generator is a form of function or signal generator that is able to produce an arbitrary waveform defined by a set of values, i.e. "waypoints" entered to set the value of the waveform at different times. 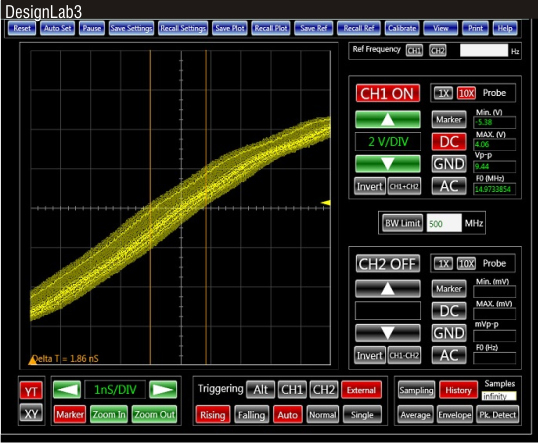 As a result an arbitrary waveform generator is able to produce virtually any wave shape that is required. 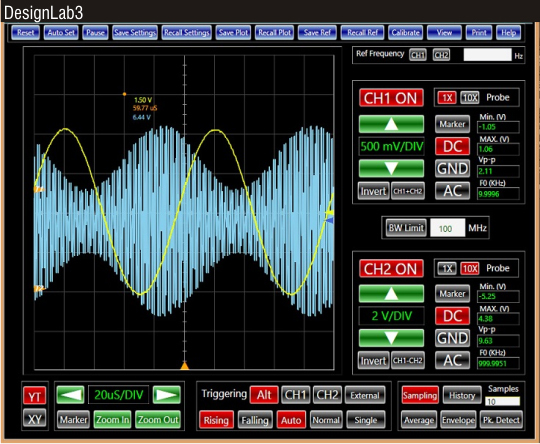 User can create the same signal in the lab which he / she is going to face in the field. 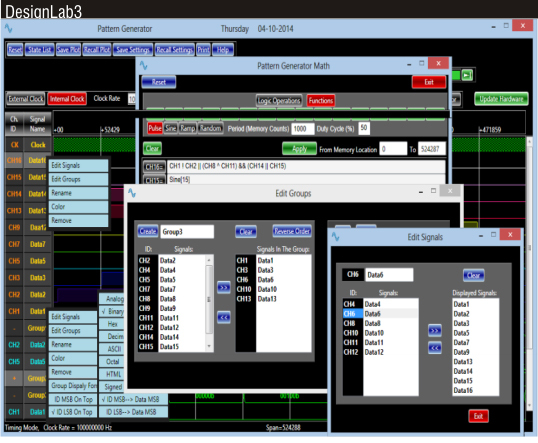 Multiple provision and features are provided in Scientech Designlab3 interactive software to generate variety of Arbitrary waveforms. One of the primary benefits of using data loggers is the ability to automatically collect data on a hour, weekly, monthly and yearly basis. Upon activation, data loggers are typically deployed and left unattended to measure and record information for the duration of the monitoring period. This allows for a comprehensive, accurate picture of the environmental conditions or machine performance being monitored, such as heart rate, air temperature and relative humidity. 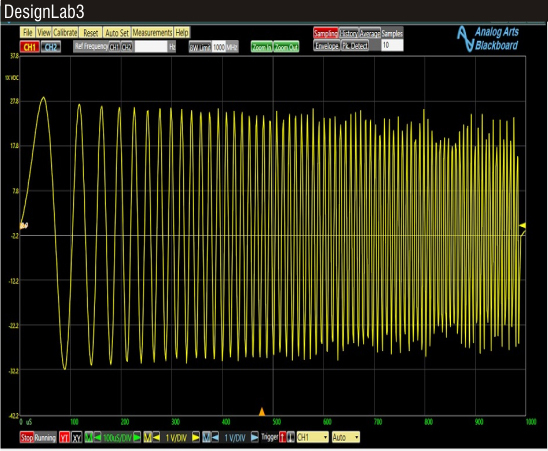 Common features between the oscilloscope and the spectrum analyzer have the same specifications. The same specifications apply to the common features of the oscilloscope and the frequency and phase analyzer in the model. DC, sine, square, pulse, triangle, rising ramp, falling ramp, noise, rising exponent, falling exponent, sinc, cardiac, gated burst, single burst, log continuous sweep, linear continuous sweep, gated ASK, gated FSK, gated PSK. The internal clock makes the memory address counter follow the rising edges of the internally generated programmable clock. The external clock makes the memory address counter follow the rising edges of the externally generated clock. The output is a pattern event. The pattern is programmable, or may be selected from a library of pre-configured patterns. The graphical and the math editor enables the user to seamlessly create any desired pattern.